GUNS UP! is a free-to-play game for the PlayStation 4 where you build a base, setup defenses, and then you try and take down other people's bases. It is similar to Clash of Clans, except, it is in a 2D plane and you are attacking from the left, and the defender is on the right. Before you begin your attack, you must choose the opponent that you are going to face. 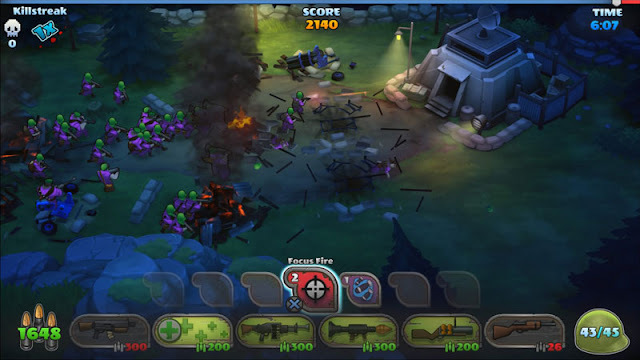 They are ranked by difficulty (which is odd, since higher base power does not mean more difficult), and shown are the number of buildings that the opposite has broken down into things like bunkers, turrets, mortars, etc. Going in, you will not know the layout of the base. To do battle with something, each difficult has an assigned cost, in munitions (the game's primary currency), and there is a free one, so you can play this indefinitely with no restrictions like other free-to-play games which have timers. Even if you are broke, you can keep playing the free opponents. 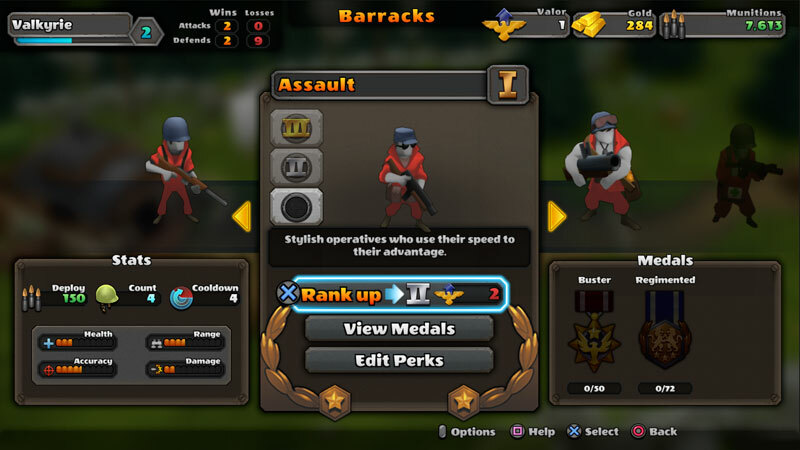 However, the amount of munitions and experience that you win from freebies are low, so it is best to pick harder ones. Once you have selected your opponent, you get to choose the units you want to bring into battle and a selection of cards that you would like to bring along as well. Cards are abilities in this game and each time you select them to battle, they will be used and you can replenish them by winning battles or buying card packs (for gold or money). 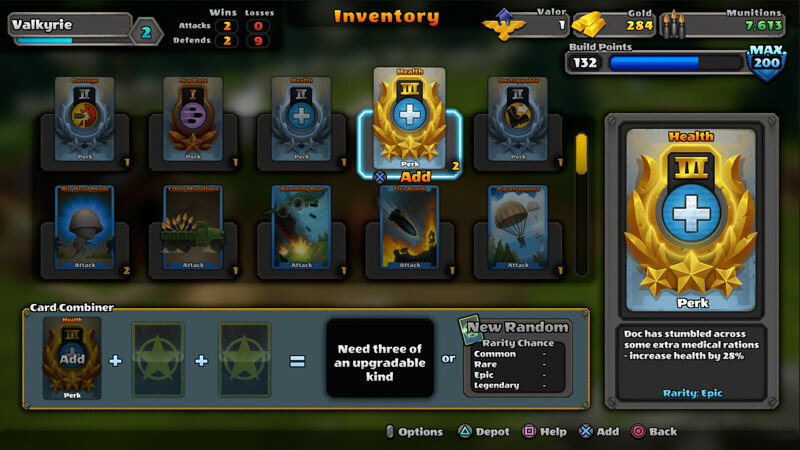 Cards are things like dropping missiles, fire bombs, or launching paratroopers, putting up a decoy and more and they will be used regardless of if you use them in battle or not. In battle, you control what units to produce, cards to play and, that's about it. You don't actually get to control the units you produce (aside from some cards like focus fire or rally), and they generally do their own thing and you hope for the best. This is one aspect I don't like, but it makes the game a lot easier to manage as the end user since you don't want to manage squads and such. 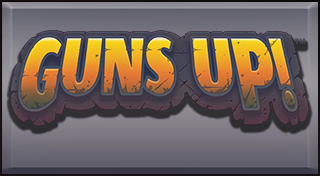 Units cost munitions to make, but they are something you get back when you defeat enemies as well as buildings. At the end of the battle if you win, you will get scored, which determines how many munitions you get back, experience gained, and cards won. Rinse and repeat! 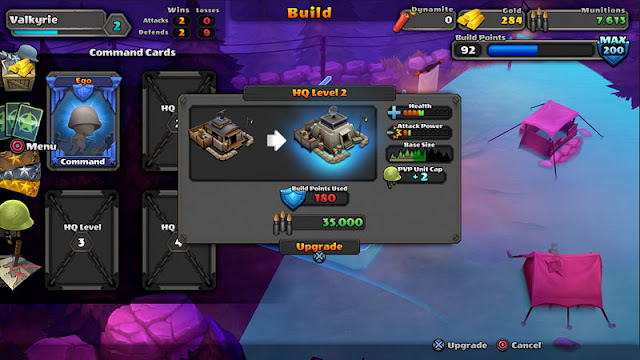 As you progress, you gain access to new units, ability to have more unit types while in battle, ability to bring more cards with you and more. Also, your units have goals that they need to reach in other to level up. As well, there are daily challenges which you try to complete for rewards. Completed ones are removed at a set time, so you can't just charge through challenges. New is the daily reward which is a perk for just logging in daily. The game is actually quite fun at the beginning, but you hit a wall pretty quick when you don't get the double bonuses like double exp, double munitions, or bonus card when you win. I enjoy it with the daily reward now, since it encourages me to come back and play a little bit. The game has been out for almost half a year and it is fun in short bursts. I don't have the pull that I did initially, but for free, why not give it a try? Come back next Wednesday for my Final Thoughts on Jamestown+ for PlayStation 4.